EmblemHealth, Inc., the parent company of HIP Health Insurance Plan of Greater New York and Group Health Incorporated (GHI) has rolled out a major, cross-platform advertising campaign to introduce New Yorkers to its new brand and logo. Developed by the agency Hill Holliday, the campaign features four 30-second television spots airing over the next 3-1/2 months, along with print ads running in newspapers and on-line, radio spots, billboards, and wild postings. 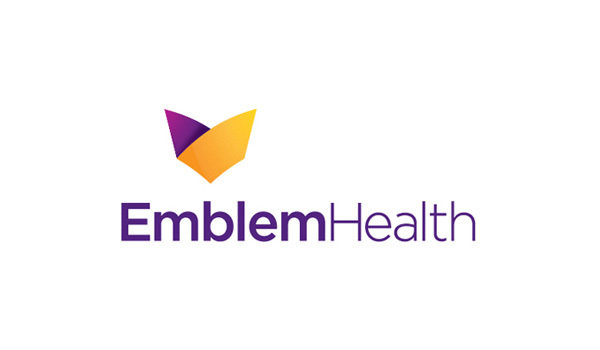 According to Ray Gannon, Managing Director of Marketing and Product Development for EmblemHealth, the campaign’s goal is to launch the new brand and create awareness of the logo, an orange and purple chevron, by reaching out to a diverse audience of members, prospective members, employers, brokers, and benefit administrators, most of whom are skeptical about many aspects of the healthcare industry. “The team wanted to address this industry skepticism by creating ads that do not over-promise, but instead concentrate on fundamentals. This is a hard-working plan for hard-working people, and a plan that gets important things, such as service and claims, right,” says Mr. Gannon, noting that the campaign also builds on the legacy HIP and GHI bring to EmblemHealth. Born in the era of the New Deal and World War II, both companies were created to provide access to healthcare for the working class. GHI began serving New Yorkers in 1937; HIP was founded 10 years later. EmblemHealth is now the largest health insurer based in New York State, serving more than four million people with over 92,000 providers in 142,000 locations across the Tri-State region. The campaign was created by Alon Shoval, Executive Vice President/Creative Director of Hill Holliday New York, who worked with a branding strategy created by the firm of Siegel & Gale and a name and logo developed by Interbrand, a global brand consultancy. Interbrand Develops Branding for AVIAGE SYSTEMS. Breaking barriers to transform TIM’s brand and business. YP rebrands for the 21st century. Xerox unveils sweeping changes to Xerox identity.